Measurement and regulation of moisture, particularly of mold sands in sand processing plants (s. Sand processing). In order to determine the control of the mold sand moisture, a distinction is made between direct and indirect measurement methods. The distinction between the measurement methods results from how the amount of water is determined (s. Water demand). The direct measurement methods separate the water directly from the solid matter. In contrast, in the indirect methods, substance properties which are markedly characterized by the water content are measured. An allocation of the values (characteristic curve) of the moisture content is carried out on the basis of the functional relationship. The direct measurement methods are used in laboratories. They take more time and require small amounts of sample material. Typical and widely used methods are the thermogravimetric methods. Analytical methods, on the other hand, are based on chemical processes and are rarely used in the sand laboratories of foundries. The thermogravimetric methods include all drying methods in which a material sample between 10g or 1kg is weighed in its original state and then dried using various methods until no more weight loss occurs. The difference between the wet and the dry weight corresponds to the water content which is evaporated completely in this method (s. Moisture). The thermogravimetric methods differ considerably in terms of the kind of drying and the drying time. Drying cabinets require approx. 1 hour, while flash dryers based on microwaves or infrared can display the result in as little as 5 minutes for a sample of approx. 20g. The indirect measurement methods determine properties of the material whose intensity is characterized by the water content. Using laboratory samples, the available moisture values are assigned to the recorded signal in order to construct a transfer representation or characteristic curve. This allows a processable moisture value to be obtained from the evaluation unit without delay. Different kinds of indirect methods are used depending on the type of material. 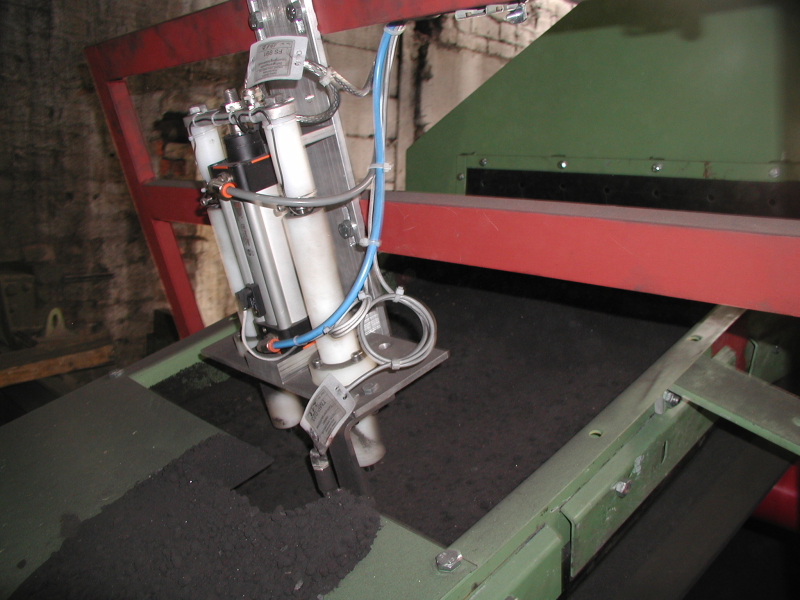 Only special electrical methods have become widespread for the moisture measurement of bentonite-bound mold materials. These are the conductivity measurement and the low-frequency capacitance measurement method. In the remaining methods, such as microwave drying (high-frequency methods up to 10GHz), metallic residues disrupt the procedure and prevent a reliable measurement. In all standard systems, the measurement can be carried out online and the measurement signals are issued for the subsequent processes almost without delay. The required addition of water is then carried out under consideration of the amount of used sand and the desired moisture value or, for a continuous measurement in a mixer, water is added until the desired value is reached. When choosing which type of measurement is appropriate, it should be ensured that the signal can be reproduced. 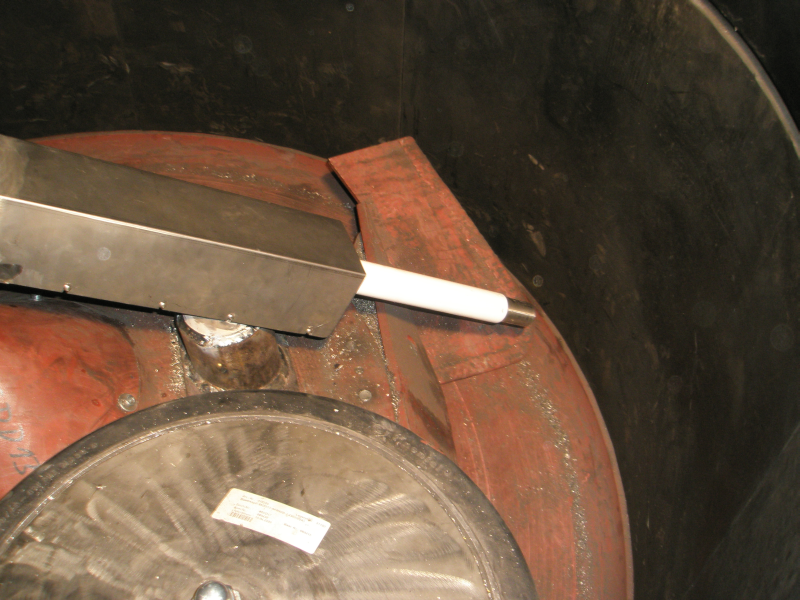 The material which is to be measured must be measurement as much as possible and entirely and any soiling on the electrodes which can lead to innaccurate measurement signals and increased wear is to be avoided.